Subscribe to our YouTube channel and stay up to date with the latest content! Visit our speaker portal, where you can view all our keynote videos from the 2018 congress, with a description of our speakers profile across the 3 days. We would like to thank you the event speakers, Host Operator, Principal Ecosystem Sponsor, Congress Partners, Sponsors and Exhbitors for your continued support and would like to congratulate once again the 2018 Network Transformation Awards (NetTAs) Winners. Established in 2012, SDN NFV World Congress creates the principal market focus for network innovation, and has grown to become the world's largest meeting place for carrier Network Transformation industry leaders. 1,500+ executives, decision makers, leaders and activists meet, learn and exchange knowledge face-to-face in The Hague, watched by a global audience via live webcast. Launched in the spring of 2012 - the first global SDN conference - SDN NFV World Congress is the industry leading debating forum and showcase for the rapidly growing and massively influential, Software-Defined Networking and Network Functions Virtualisation industries. Now, with over 100 supporting partners and sponsors, and 1,500+ delegates in 2018, the World Congress has established itself as the principal network innovation conference in Europe for the global telecommunications industry. The agenda has expanded in a judicious manner to embrace areas of Network Innovation with the most relevance and urgency for carriers today. 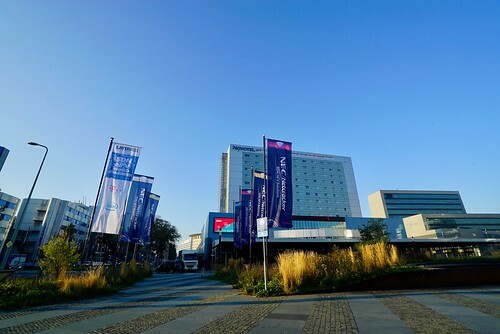 While Layer123 expands the expo and agenda each year, the World Congress has been consistently over-subscribed, making it the industry's first choice event. Again, we had a very successful 2018 and we look forward to working with you again in 2019! Congratulations to the 2018 NetTA Winners! With over 120 submissions, the first Network Transformation Awards proved very popular. Recognising and celebrating organisational and individual excellence as well as successful industry collaboration - the NetTAs offer a credible benchmark for quality and achievement across the carrier Network Transformation industry. Visit our speaker portal, where you can view all our keynote videos from the congress, with a description of our speakers profile across the 3 days. The SDN NFV World Congress program consistently attracts the leaders in the NFV+SDN+MANO movement from all parts of the global industry ecosystem - software specialists, network systems vendors, service providers and carriers, datacentre providers and large enterprise, to participate at the World Congress. Join us and add your own experience and expertise to the SDN NFV World Congress.